I can't believe just 5 days ago you were in my belly. A part of me misses it...but OH, I am loving having you in my arms finally! When I hold you real close, your little movements, especially your hiccups, feel so familiar to me. Last night your sweet Dad was holding you and you started to get the hiccups...he was so worried because they were jolting your little body. 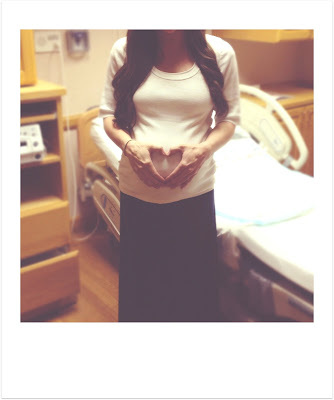 I assured him it was okay, and that I remember feeling you have hiccups a lot toward the end of my pregnancy with you. The worried look stayed on his face though until your tiny body relaxed. He sure loves you little one. And Ava thank you so much for being such a calm, sweet baby. You had high levels of bilirubin at the hospital, so now that we're home we've had to have you spend most of your time in a bili-bed (your little UFO, as Dad calls it). You're such a trooper and have been wonderful to sleep so much, and so well, in it. Your easy going nature has also made it so that your big brother still gets lots of Mommy and Daddy time too :) We're still working on helping Brooks understand that you're his sister, but soon enough I know he's going to be loving on you all the time and you two will be the best of friends! Oh Ava girl, I'm so grateful your loving Heavenly Father sent you to us. This Momma of yours is head over heels. So thrilled you are ours forever! But now I've got to put you back to bed...sweet dreams little one. This post is so beautiful, way to make me start bawling this early in the morning. I am so happy for you guys! Congrats! Love the comparison photos! so precious! oh, and that before and after shot is absolutely breathtaking!! Love the before and after Haley! I'm so happy Ava is here and that she is such a good baby. Middle of the night is hard, but there is nothin like that one on one time! Ooh this post was so cute! I can't wait to meet little Ava! She is darling. Love the before and after pictures . . . so cute! congrats haley! she sure is beautiful! 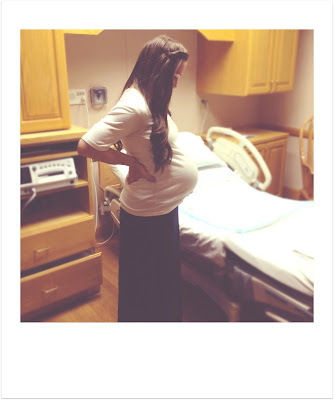 cannot wait to see more pictures of your sweet new family of four! haley! this post is gorgeous on like 9 thousand diff levels. LOVE that before/after shot. you inspire me to be a mommy. so beautiful. TEARS OF JOY ARE IN MY EYES!! 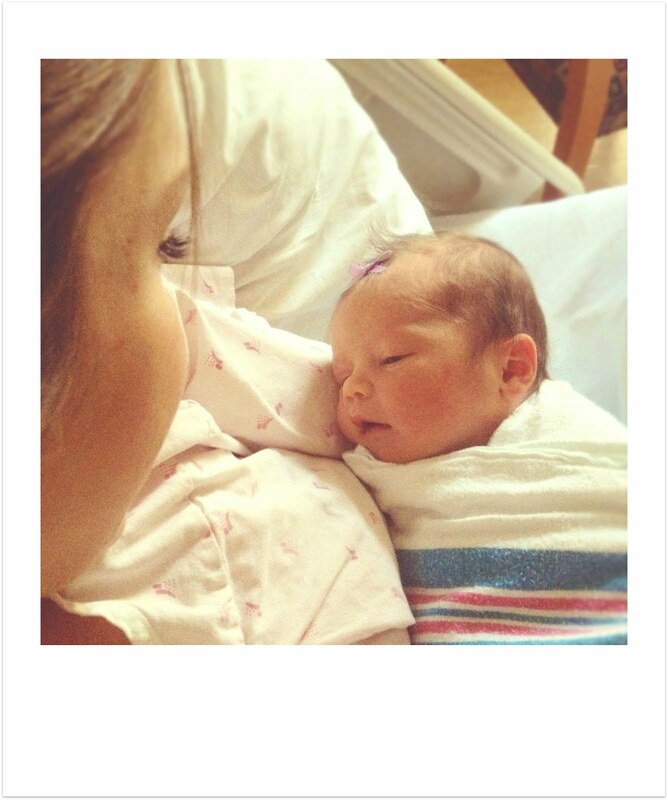 So happy for you...She is breathtakingly beautiful, just like her mama! Congrats!!! Love your pictures! You and your baby look beautiful! Congratulations again! What a sweet little girl! I am so happy for you guys! She is so adorable! ohh Hales I just LOVE you!!! This little angel of yours is just a dream and I want to meet her sooo bad!! It seems like just yesterday that little (or should I say "big") B was born! Your pictures are amazing, you have always had such a talent for capturing the most treasurable moments. Love you soo much and am soo excited for you, Adam and Brooks to have little Ava Lu in your family now!! ah if only you knew just how much i sit here and swoon. she is precious!!!!! and one day, she's gonna look at this blog and read your words and love it. Dear, sweet Haley...sounds like your heart just grew a whole size bigger to encompass all the LOVE you have for that sweet little girl. She is beyond beautiful. So happy to hear that she is easy-going, and that Brooks is transitioning well. Love the before and after pic...good job, Dad! Oh my goooooodness! WHERE HAVE I BEEN?? You have a baby girl!! AH! Congratulations! I am so so happy for you! She is so perfect and I LOVE her name! Oh Haley, I am so happy for your sweet family!